Here is the correspondence in which General Pershing expressed his opposition to executing an armistice with Germany. When he learned of this, President Wilson was greatly displeased. In considering the question of whether or not Germany's request for an armistice should be granted. the following expresses my opinion from the military point of view. 1. Judging by their excellent conduct during the past three months. the British. French. Belgian. and American armies appear capable of continuing the offensive indefinitely. Their morale is high and the prospects of certain victory should keep it so. 2. The American army is constantly increasing in strength and experience. and should be able to take an increasingly important part in the Allied offensive. Its growth. both in personnel and material. with such reserves as the Allies may furnish. not counting the Italian army. should be more than equal to the combined losses of the Allied Armies. 3. German manpower is constantly diminishing and her armies have lost over 300,000 prisoners and over one-third of their artillery during the past three months in their effort to extricate themselves from a difficult situation and avoid disaster. An advantage in favor of the Allies of 37%. If Italy's forces should be added to the western front we should have a still greater advantage. 5. Germany's morale is undoubtedly low. her Allies have deserted her one by one and she can no longer hope to win. Therefore. we should take full advantage of the situation and continue the offensive until we compel her unconditional surrender. 6. An armistice would revivify the low spirits of the German army and enable it to reorganize and resist later on. and would deprive the Allies of the full measure of victory by failing to press their present advantage to its complete military end. 7. As the apparent humility of German leaders in talking of peace may be feigned. The Allies should distrust their sincerity and their motives. The appeal for an armistice is undoubtedly to enable the withdrawal from a critical situation to one more advantageous. 8. On the other hand. the internal political conditions of Germany. if correctly reported. are such that she is practically forced to ask for an armistice to save the overthrow of her present Government, a consummation which should be sought by the Allies as precedent to permanent peace. 9. A cessation of hostilities short of capitulation postpones if it does not render impossible the imposition of satisfactory peace terms, because it would allow Germany to withdraw her army with its present strength. ready to resume hostilities if terms were not satisfactory to her. 10. 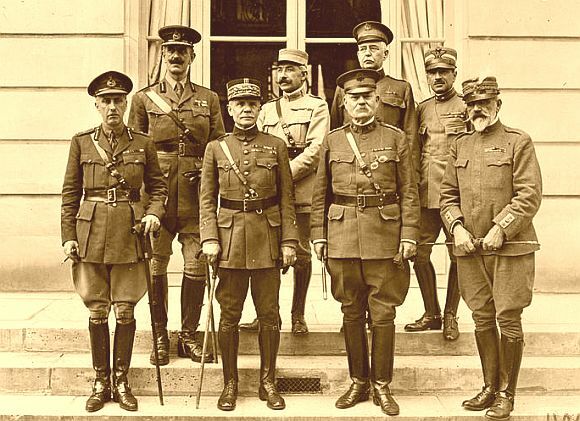 An armistice would lead the Allied Armies to believe this the end of fighting and it would be difficult if not impossible to resume hostilities with our present advantage in morale in the event of failure to secure at a peace conference what we have fought for. 11. 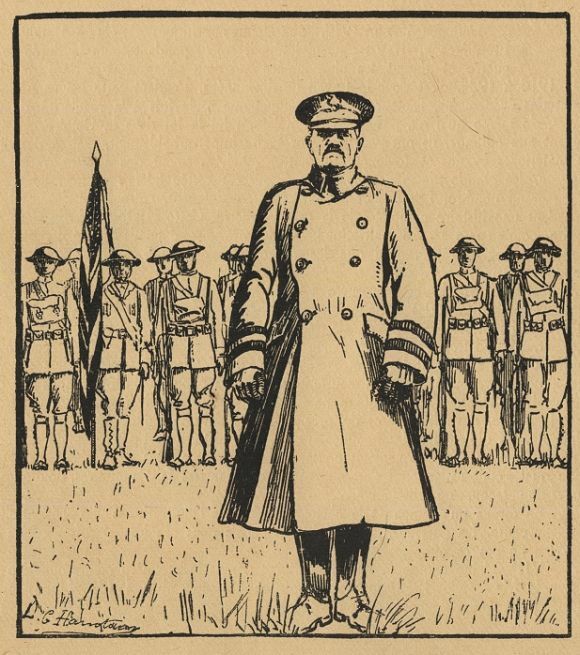 By agreeing to an armistice under the present favorable military situation of the Allies and accepting the principle of a negotiated peace rather than a dictated peace the Allies would jeopardize the moral position they now hold and possibly lose the chance actually to secure world peace on terms that would insure its permanence. 12. It is the experience of history that victorious armies are prone to overestimate the enemy's strength and too eagerly seek an opportunity for peace. This mistake is likely to be made now on account of the reputation Germany has gained through her victories of the last four years. 13. Finally, I believe the complete victory can only be obtained by continuing the war until we force unconditional surrender from Germany. but if the Allied Governments decide to grant an armistice, the terms should be so rigid that under no circumstances could Germany again take up arms. It seems to me that if we had followed this, WWII might have been averted. What a fascinating alt.history idea! Pershing does not give details of the extent of actions he would take in item # 13, but it appears to me that he would be much more harsh than Wilson would. It would be interesting to know the details of his plan. I can imagine Wilson reading "..the British, French, Belgian and US armies appear capable of maintaining the offensive indefinitely. Their morale is high..." and thinking: "Helloooo - some of them are still dying - and you are nice and safe..."